Should You Get Gap Car Insurance? If you just totaled your new car, the last thing you want to do is pay off the lender. Having car insurance is a requirement in every state to protect all drivers on the road in the event of an accident. Car insurance also protects you from having to pay out of pocket for costly repairs or replacing your car if it is totaled in an accident. Unfortunately, just like a collision, new vehicle depreciation can come as a surprise and hit you right where it hurts (especially if your vehicle is totaled). Gap insurance can come to the rescue in this situation. Learn what gap insurance is, how it works and when you should get it. Gap insurance is optional vehicle coverage that you can add to your insurance policy to protect you if your vehicle is totaled when you're upside down on your loan. Standard comprehensive and collision insurance plans only pay out the current, depreciated value of the vehicle. The problem is that new cars depreciate fast. In fact, the average depreciation rate on a new car is 30% after 1 year and a shocking 11% as soon as you drive it off the dealership lot. What happens if you owe more than the car is worth at the time of an unfortunate event like a theft or accident? This is where gap insurance comes up to bat. According to Allstate, Gap Insurance is only available if you're on the original car loan or are the original leaseholder. In some cases, a lender may require you to obtain gap coverage and many leases include it already. Make sure you understand what each contract requires and already includes before adding gap insurance to your policy. According to Nationwide, standard collision and comprehensive insurance only cover a vehicle's actual cash value. Actual cash value is defined as the cost of the vehicle minus its depreciation due to factors like age, miles, and condition. Gap insurance can cover some or all of the difference between your loan balance and the actual cash value. For example, imagine that you bought a new Honda Accord for $25,000 and still owe $20,000 on it when it is totaled in a wreck. Your collision insurance covers its depreciated value (say $15,000) and you'd be forking up $5,000 to the lender out of pocket. Gap insurance will cover some or all of the $5,000 and get you off the hook. Don't count on gap coverage to pay for a new vehicle if yours is totaled or stolen. It simply covers the amount it takes for you to pay off your loan or to pay off your lease. If you want insurance to help pay for a vehicle, you need to look into getting new car replacement coverage. If you take out a loan on a high depreciating car, getting gap insurance is a smart move. Is adding gap insurance right for everyone? Not necessarily. It is usually available for new cars or new vehicle leases only. You should also consider how much your car will be worth after it depreciates and compare that value to how much you are borrowing. If you made less than a 20% down payment when you bought your new vehicle or if your loan terms are longer than 60 months, you should consider gap insurance because there will be a higher chance that you will be upside down on the loan. 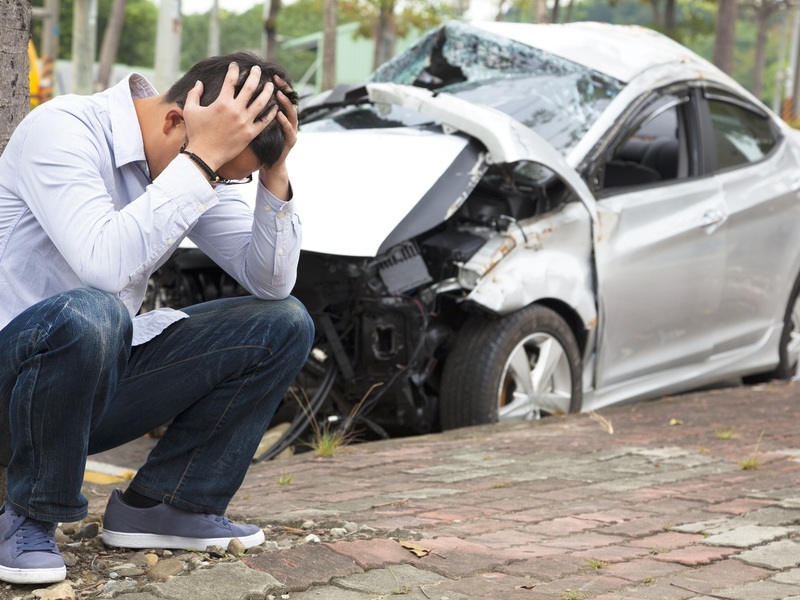 If the vehicle is totaled, you'd be responsible for covering the difference which can be a strain on your finances. If you rolled negative equity over from a previous vehicle into your new car loan, gap insurance can also offer protection in the event of a total loss. Another reason to add gap insurance to your policy is if you purchased a high depreciating car. Vehicles like the BMW 5 Series and the Volkswagen Passat, for example, depreciate over 50% in 3 years which is well above the average depreciation rate. Most insurance companies offer gap insurance and will allow you to add it on to your current plan. According to Bankrate, getting gap insurance shouldn't break the bank since it is about 5-6% of the premium for collision and comprehensive insurance. If you find yourself in one of the situations we covered, that's a small price to pay for the peace of mind it provides.